MMD Importer for DAZ Studio not working. I did everything like in this video. I tried installing both with manual copypasta and install manager. The problem might be in the fact that I have Daz client on C: and content/runtime on portable hard drive due to lack of space. Is there a work around this or do I have to have everything on partition in order to get it to work? Or maybe it's because it's japanese script that require something else entirely? Problem solved. Turns out I didnt had Microsoft Visual C++ 2015 Redistributable. Please close the thread. 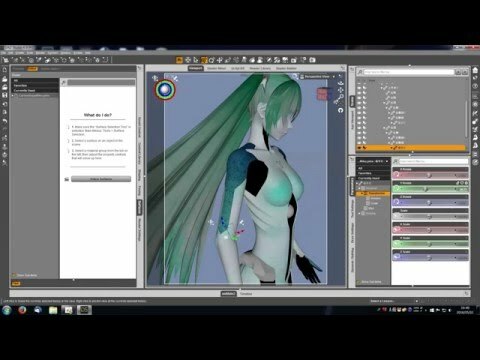 Could you send MMD Importer for DAZ Studio file to me? I don't find the link on internet. Unless the readme allows redistribution no, that isn't permitted. I know this is very old thread but I have the original file and get people asking how I import the MMD models I use. In case anyone Googles it and ends up here the author, bouyke, has pulled the file and it cannot be redistributed. Finally got around to translating the ReadMe from Japanese. · Please use it freely regardless of profit or non-profit. There is no need for reports or rights notation. · Although it seems to be bad, please follow the rules of the model itself for the imported model. · Redistribution is prohibited in principle. If you really want to do it, please contact the author with a reason. If you feel that there is legitimacy it may be permitted. · We are not responsible for secondary damage caused by using this plug-in. Please use it at your own risk to the last. You can contact https://twitter.com/shinokiwa?lang=en for permission - that is if you absolutely need it.